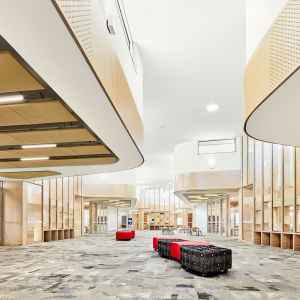 The Winjeel P-2 Facility for Westbourne Grammar builds upon a recently completed Early Learning Centre. 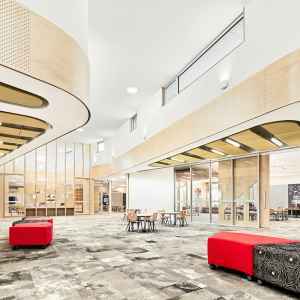 Though the physical connection between buildings is for staff only, the siting of the new P-2 facility adjacent to the ELC responds to the broader campus masterplan and creates an important familiarity for the young students as they graduate from one building to the next. At its inception, two key factors were instrumental in shaping the project. 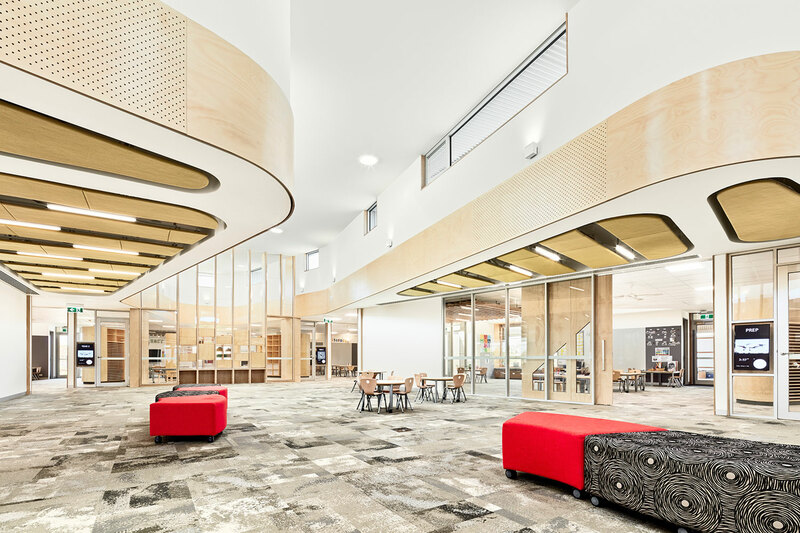 The first, and overarching consideration was to provide an architectural response to compliment the school’s Reggio Emilia educational philosophy, the second was a benchmarking tour of other recently completed P-2 facilities, creating a frame of reference that allowed the client to ‘fit’ their aspirations . 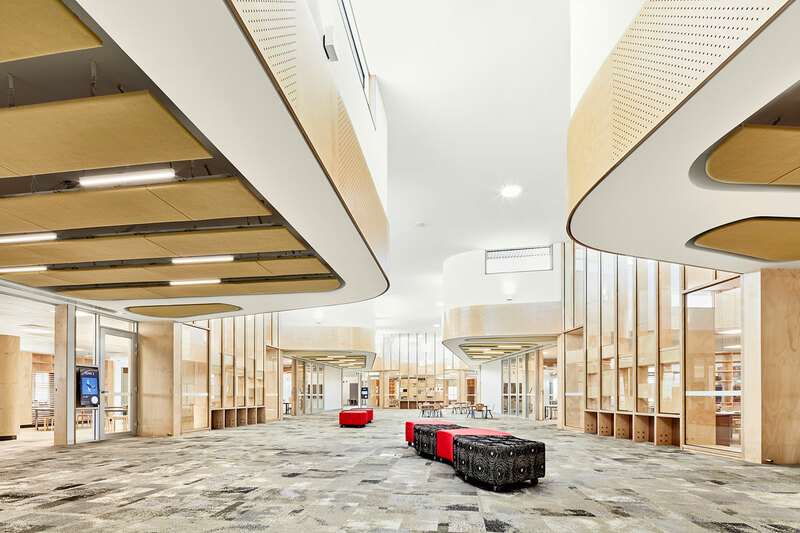 The learning spaces were then arranged in a triptych around a central ‘studio’, essentially a dedicated wet area where students can come together across classes to collaborate (see SK02 below). 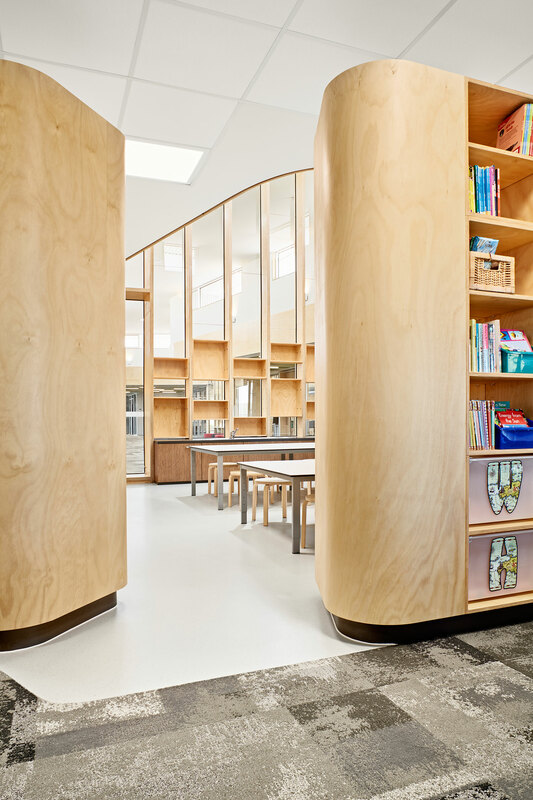 The ‘studios’ connect the three classrooms with elaborately detailed joinery units that allow students to store work and see through to the other spaces, creating a subtle definition of the classroom extents without sealing each room hermetically. 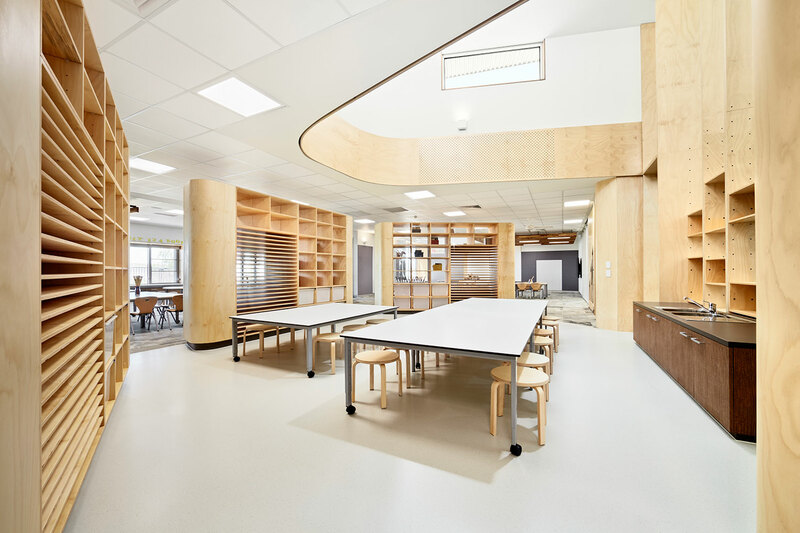 A series of sliding doors designed into the studios do allow teacher to further ‘close down’ the spaces into individual units, a flexibility which emerged from the early benchmarking study as a key requirement.